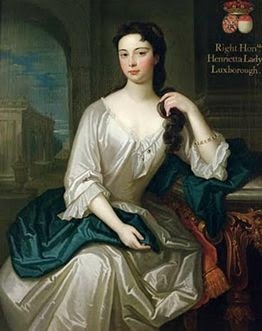 Henrietta St John was the only daughter of Henry, viscount St. John, and his second wife, Angelica Magdalena, daughter of Georges Pillesary, treasurer-general of the marines, and superintendent of the ships and galleys of France under Louis XIV. She had a half-brother, Henry, 1st Viscount Bolingbroke, who made her a “half-scholar”. Henrietta often hang out with his friends, which included Voltaire and Alexander Pope, and enjoyed talking about all sorts of cultured topics with them. Henrietta married fairly late compared to most women of her class. She was already past her teens when, in 1727, she tied the knot with Robert Knight, a businessman. It was a bad choice. He was rude, crass, and didn’t share the same interests as his wife. His favourite topic of conversation, rather than poetry and art, was money. But it was the loneliness Henrietta found the hardest to bear. Because of Robert’s work, the couple lived mostly in Paris, miles away from Henrietta’s family and friends. The miserable wife at first found solace in her two children, a boy and a girl. But soon, her husband started suspecting she relieved her loneliness in the arms of other men. First, he believed she was having an affair with her physician, Charles Peters. Maybe her portrait of her husband, which she kept in her luscious black hair, saved her that time. But when, in 1736, Robert found some love letters she had written to John Dalton, a tutor in the household of Henrietta’s friend Frances Seymour, Countess of Hertford, the marriage irretrievably broke down. Robert accused his wife of becoming pregnant with her lover’s child, banished her to the remote estate of Barrells and forbade her from ever seeing her children again. She was also banned from London and forced to live on a small annuity he paid her for her basic expenses. He chose, however, not to divorce her. But Robert’s plan to completely isolate her failed. Henrietta was determined to make the most of her life, whatever the circumstances. So, she got back into gardening, a pastime she had greatly enjoyed before her marriage, transforming the gardens of the estate. The farmeress, as she started calling herself, had created such a lovely artificial Arcadia that a constant stream of visitors began arriving to visit it. She also corresponded and met up with her educated and literary friends, which included poets William Shenstone and William Somervile. But her life was quiet and scandal-free. She missed her children, though, and was undoubtedly happy when, once they were all grown up, they started visiting her. Henrietta died in March in 1756 and was buried in the church of Wootton Wawen. Her remains were later removed to a mausoleum near Barrells Halls. About 20 years after her death, her letters to William Shenstone, Esq., four of her poems, and some of her correspondence were published.